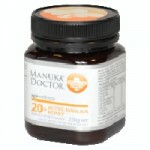 Comvita’s manuka honey with a very high UMF rating. 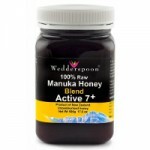 This Unique Manuka Factor label guarantees that you are really getting a product that has been tested and certified. 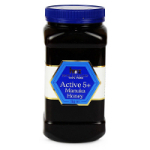 This is currently Comvita’s purest manuka honey in terms of its UMF rating. 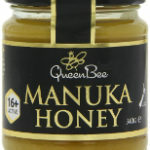 The number refers to the Unique Manuka Factor, which is a registered trademark that means the honey has been tested to ensure that it contains the the naturally occurring elements that have made manuka honey famous the world over. The UMF mark means that consumers can be sure that the jar of honey genuinely contains a really special manuka honey from New Zealand. 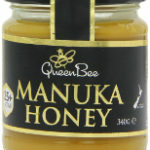 The Unique Manuka Factor trademark has been developed by the Unique Manuka Factor Honey Association. Comvita sources its manuka honey from its own bee hives that are located in the unspoilt and beautiful Bay of Plenty area of northern New Zealand. Eat this honey straight from the jar as part of your daily health routine or then spread on some fresh bread and simply enjoy its delicious taste.